Hi, I’m Renée Piane, The Love Designer, and I’m on a mission to ignite the hearts of busy, successful people around the world to Get Real about Love and reinvent their love lives. 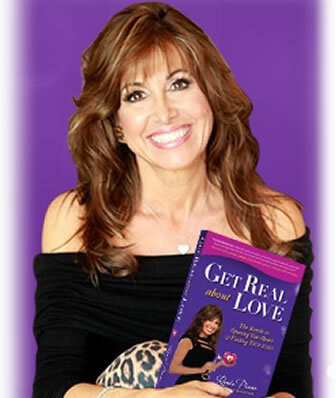 I am honored that you are here to learn more about what my books and relationship advice can do to help you achieve your ultimate love vision. Together, we will navigate the wild world of relationships and dating as you open your heart to discover what you are looking for as you redesign your new lifestyle! After two decades in the love and dating industry, I’m proud to say that I’ve helped thousands of people find true love or get back out there after a divorce or separation. Now, it’s your turn! Choosing a life partner is one of the most important decisions of your life, yet most people rush into relationships or stay in unfulfilling situations that aren’t aligned with who they really are. 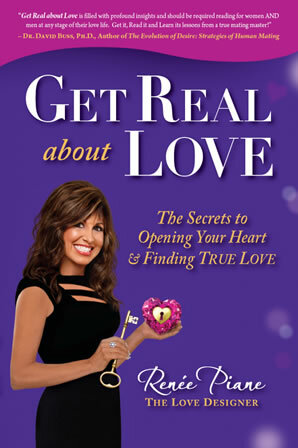 It’s Time to GET REAL about LOVE! If you are new to the dating game, reinventing your life, or getting over a broken heart, you are about to embark on a heart opening journey that will be sure to change your life forever. 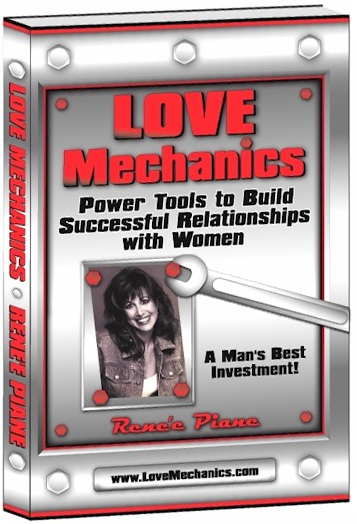 Love Mechanics is the only book of its kind, written specifically for men by Relationship and Dating Consultant, Renée Piane. Written in an easy to understand style, using the car as a metaphor, this book offers men the Power Tools, strategies and Insights to create successful relationships with women. The book compiles insights from leaders in the health, communication, energy and healing fields. Piane shares tools and skills that give men the knowledge and direction to win in the game of love. In short, the book offers straight talk, operating tips, checklists, secrets and strategies to cultivate incredible relationships. These very 210 pages of life changing information can help your dating/love life overnight!